The following was written by Megan McArdle for Bloomberg View. It represents an interesting outside perspective on the LDS Church’s welfare efforts as well as the success of Utah’s “war on homelessness”, a war which this article says Utah is winning. Cover image from Bloomberg View, photographed by Michael Friberg. There’s no getting around it: For a girl raised on the Upper West Side of Manhattan, Salt Lake City is a very weird place. I went to Utah precisely because it’s weird. More specifically, because economic data suggest that modest Salt Lake City, population 192,672, does something that the rest of us seem to be struggling with: It helps people move upward from poverty. I went to Utah in search of the American Dream. Columnists don’t talk as much as they used to about the American Dream. They’re more likely to talk about things like income mobility, income inequality, the Gini coefficient — sanitary, clinical terms. These are easier to quantify than a dream, but also less satisfying. We want money, yes, but we hunger even more deeply for something else: for possibility. It matters to Americans that someone born poor can retire rich. That possibility increasingly seems slimmer and slimmer in most of the nation, but in Utah, it’s still achievable. People in Utah’s government casually talk about getting the community involved in their efforts, not as a rote genuflection to a political ideal, but as an actual expectation. “Government’s not going to solve all this, and that’s why you’re in the room,” Lieutenant Governor Spencer Cox said to attendees of a community meeting about the Intergenerational Poverty Initiative, and it wasn’t just an idle hope. Utah really does have an immense parallel structure that can be counted on to bolster anything the government does on poverty. Its front door is Welfare Square. Like most social service agencies, Welfare Square is in one of the less pretty parts of town, tucked just off the highway between industrial buildings and modest tract homes. The complex itself, incorporating public spaces where help is offered, and private spaces where the church manufactures many of the goods it gives away, is built of modest materials and is kept scrupulously clean. And it is vast. Many charity operations offer a food pantry or a thrift shop. Few of them can boast, in addition, their own bakery, dairy operation and canning facilities, all staffed by volunteers. The food pantry itself looks like a well-run grocery store, except that it runs not on money, but on “Bishop’s Orders” spelling out an individualized list of food items authorized by the bishop handling each case. 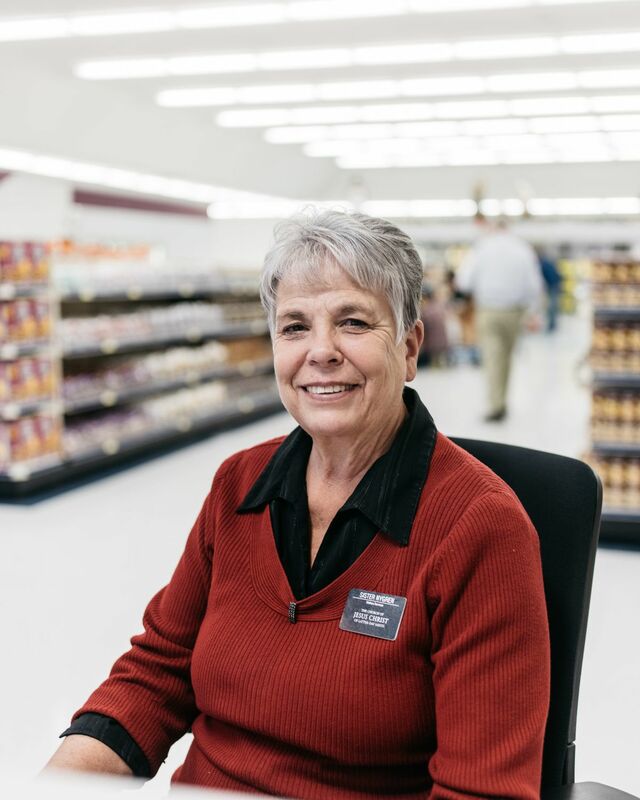 This grows out of two features of Mormon life: the practice of storing large amounts of food against emergencies (as well as giving food away, the church sells it to people for their home storage caches), and an unrivaled system of highly organized community volunteer work. But it does not stop with informal networks. Mormon youth are encouraged to go on missions. Many of them evangelize, of course, but others end up doing work for the church, including at Welfare Square. 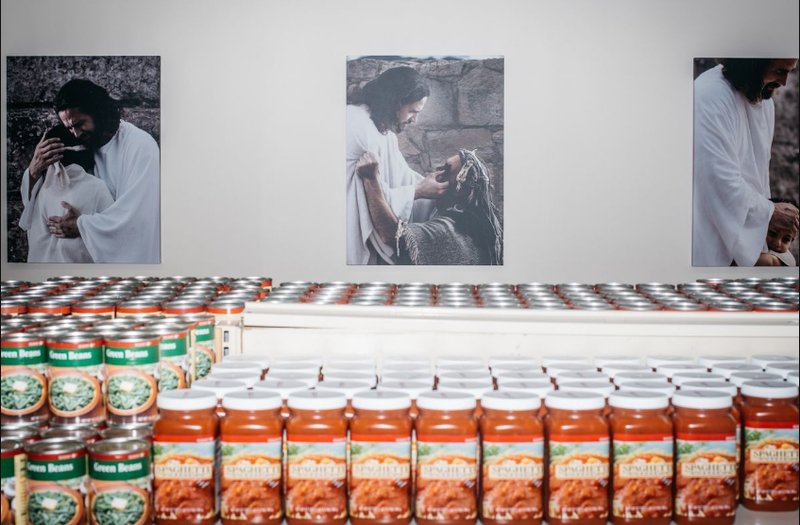 Every Mormon is expected to skip two meals a month, and to donate at least the value of the food they would have bought (and preferably more) to help the needy. They’re also encouraged to volunteer for the church. A job center at Welfare Square harnesses the still-prodigious energies of retirees; when I was there, an immigration center, also staffed with volunteers, was just starting up. The assistance offered is not unique, but the sheer scale of it is; few other churches could muster a similar army of willing, helpful people, or deploy them so efficiently. The Mormon Church has a particular philosophy of help. Don Johnson, division director for the Welfare Department of the Church, spoke of the Pharisees quizzing Jesus in the gospels: “They asked the savior what is the greatest commandment — love God, and love your neighbor.” For the Mormon Church, that means making sure that no one goes hungry. This combination of financial help and the occasional verbal kick in the pants is something close to what the ideal of government help used to be. Social workers used to make individual judgments about what sort of help their clients needed or deserved. But such judgments always have an inherently subjective and arbitrary quality, which courts began to frown on in the middle of the 20th century, in part because they offered considerable discretion for racial discrimination. Turning government welfare into an automatic entitlement based on simple rules undoubtedly made it fairer, and kept people from slipping through the cracks. But making it harder to remove benefits from people who stopped trying also made it easier for people to make understandable short-term decisions which turned into long-term dependence, leaving a significant number of people disconnected from work and mired in multi-generational poverty. That’s what the Mormon approach to support avoids. It gets people back on their feet and connects them with their communities. At its best, it provides a path from the bottom quintile to the top. Is Mormonism really essential to this approach? Perhaps other communities could incorporate lessons from the church’s good works. To read the full article on Bloomberg View, click here. I had Bishops who were very kind and extended help beyond what was asked. We paid ours back and still contribute. I did have one Bishop's Counselor who filled in for the Bishop who wouldn't give us freah fruit to augment our MRE's when we had twins but he was an exception. Our family has volunteered at our stake's local welfare drop which is literally a local grocery store, bimonthly, and people get excellent service and quality without being shamed or judged. Attitudes in these stories are so telling. Christ is the exemplar in meekness and humility. Sadly in the church, many times it seems to be lacking in the receivers.